The purpose of this paper is to review the latest advancements and developments in non-invasive coronary magnetic resonance (MR) and hybrid positron emission tomography (PET)/MR imaging. Coronary MRI has advanced in recent years in different aspects, especially regarding technical developments, scan protocols, and molecular probes. Recently introduced hybrid PET/MR scanners have already demonstrated great potential in improving cardiovascular imaging. Coronary atherosclerosis and acute myocardial infarction remain major threats to physical health worldwide. 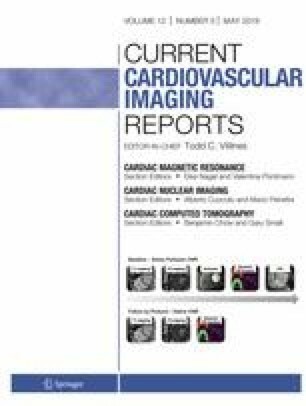 Several techniques, from invasive intravascular imaging to non-invasive imaging methods, are studied extensively to identify patients with vulnerable plaques at risk for adverse coronary events. While imaging of vulnerable plaques is getting more and more sophisticated, the clinical impact of molecular plaque imaging on prognosis and disease management still has to be fully defined. Thomas Heinrich Wurster is a participant in the Berlin Institute of Health Charité Clinician Scientist Program funded by Charité-Universitätsmedizin Berlin and Berlin Institute of Health. Ulf Landmesser has nothing to disclose. Leif-Christopher Engel has nothing to disclose. Marcus Makowski has nothing to disclose. Boris Bigalke is employed by Charité Universitätsmedizin Berlin.